Understanding the downside of anatomic implants. Dr. Jacobsen prefers rounded implants over anatomic implants. During your consultation, Dr. Jacobsen will show you various types of implants and help you determine which kind is best for you and your body. The shape of breast implants is often called anatomic implants. 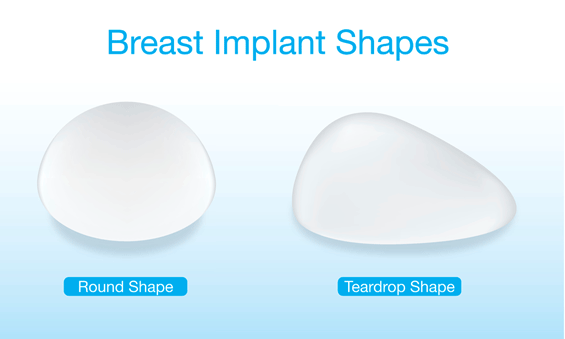 These implants are preshaped to give more volume on the base of the breast and give a tapered breast from the top of the breast to the bottom of the breasts. These implants look very good on a piece of paper. They look very good on an advertising page. They look very good on a table and they look very good in your hand and it makes a great deal of sense to have a breast implant that is shaped like a breast that you want to be shaped like. Some surgeons used these frequently and have remarkable success. But there are some problems with this implant. The problems are that the implant must be made more firm to hold its shape and is result feels less natural and less sophisticated when someone touches or hugs you. The other significant problem with this implant is that it can rotate. Once the implant rotates then the shape no longer is favorable and the part of the implant that’s supposed to be the thickness at the base of the breast may be at the top of the breast. There has been a very sterile technique developed to try to keep the breast fixed to the chest wall, so it cannot rotate. But unfortunately, these do rotate at times. If this implant rotates you will require additional surgery to place it back into the proper position. At that point you will very likely elect to change back to a normal round implant. The most commonly used implants are round and not anatomically shaped. These round implants if you put them on the table it looks like a simple round implant that has no specific irrigation to it. But once it’s in your body in a vertical position most of the gel in the saline gravitates the base of the breasts and gives an anatomic shape. As a result, the anatomic implants in Dr. Jacobsen’s mind are not necessary and the disadvantage of the firmness of the implant and the disadvantage of the possible rotation of the implant makes this implant not favorable for women. As a result, Dr. Jacobsen does not use the anatomic or shaped implants. We have them to show to use a you can see them, but Dr. Jacobsen does not utilize anatomic implants.